“Water is the source by which Africa’s development can be driven,” says the African Union Commission Chairperson, Dr. Nkosazana Dlamini Zuma, in her remarks at the closing session of Ministers of Water, Sanitation and Hygiene meeting that held on 15 and16 March 2016 in Addis Ababa, Ethiopia. Commenting on the African Union’s theme of “Human Rights with a particular focus on the Rights of Women”, Dr. Dlamini Zuma appealed to the conference delegates to focus on women and children in all their strategies since “in the African context, they have the primary responsibility of providing water, health and food. After all, women constitute 70% of the agricultural work force”, emphasized Dr. Dlamini Zuma. 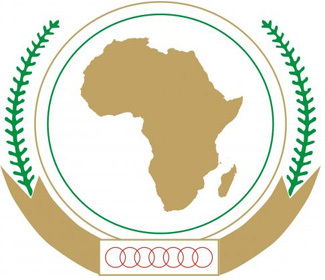 The AU Commission Chairperson also called for the inclusion of women and girls in all development projects, “not just as passive beneficiaries but as legitimate participants,” she underlined. The closing session, which was attended by African and world Ministers and officials responsible for water and sanitation as well as the civil society, was also addressed by the UNICEF Executive Director, Mr. Anthony Lake, who called on the participants to “turn up the volume” in implementing and providing momentum for the Vision 2030 Sustainable Development Goals and Agenda 2063. Mr. Lake also committed UNICEF to accelerating its efforts in providing “every child with equal chances”. Ethiopia’s Minister of Foreign Affairs, Dr. Tedros Adhanom Ghebreyesus, who also addressed the closing session, called for ownership and joint resourcing of all programmes developed to address Water, Sanitation and Hygiene, all of which will require community involvement and contribution. The outcomes of the two-day forum will inform continental and global meetings of the Ministers of Finance in line with the objectives of the global Sanitation and Water Alliance (SWA), which convened the meeting.